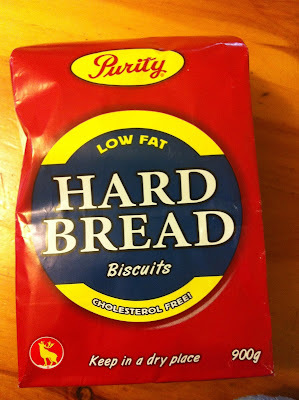 1) Take out hard bread, approximately 1 piece per person. Place in a pot of water to soak overnight. If you're using frozen cod, don't forget to take it out to thaw - I'm exceptionally good at forgetting this step! 2) Once everything is thawed/soaked etc. cut the rind from the salt pork and cut fat into small cubes - be careful not to cut them too small, as they shrivel slightly when you fry them. Fry on medium heat. 3) Once pork is frying, boil the hard bread and fish in separate pots, leaving the hard bread in the same water it was soaked in the previous night. Boil on medium-high. As soon as the hard bread begins to boil, remove from heat and drain. 4) Once you can piece apart the fish easily with a fork, it's ready to go. Drain the water, and carefully remove any skin. Toss in the brewis, and mash away. Be sure not to pulverize the fish, just mash enough to combine the two ingredients. 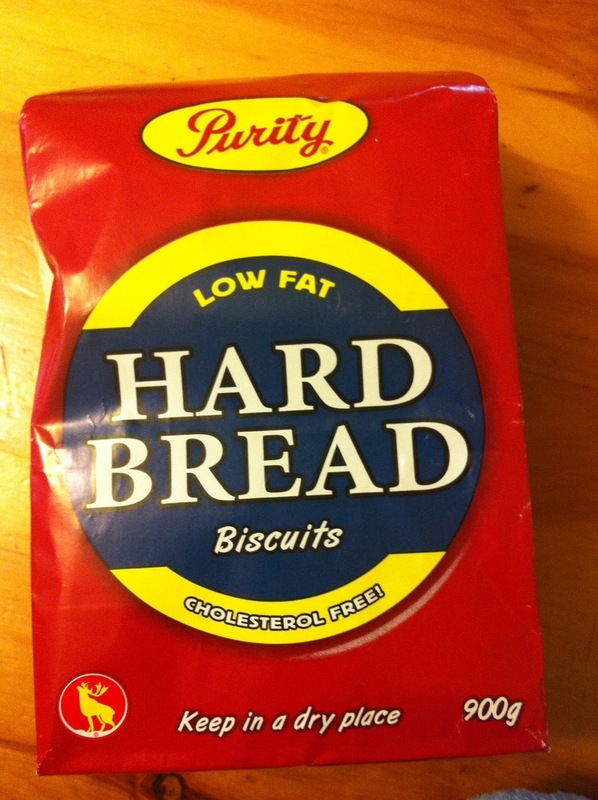 I like there to be more fish than brewis, so judge as you go, you may not need all of the brewis you've put aside. 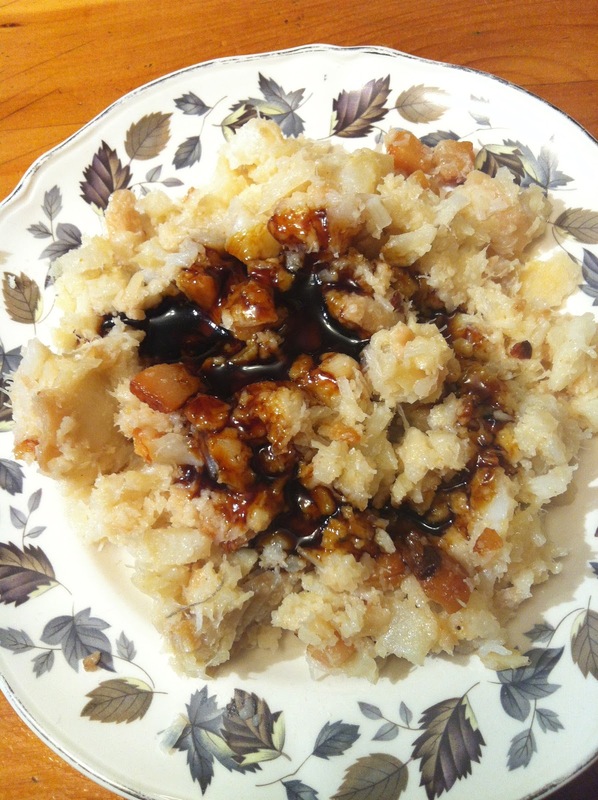 Fish & Brewis is made with salt fish whereas Fisherman's Brewis is made with fresh (unsalted) fish.